Here at Google Sightseeing we’re fond of the excesses that are common in the oil-rich city of Dubai.1 Before the recent recession, money flowed so freely that even utilitarian structures were built larger than anywhere else on the planet. 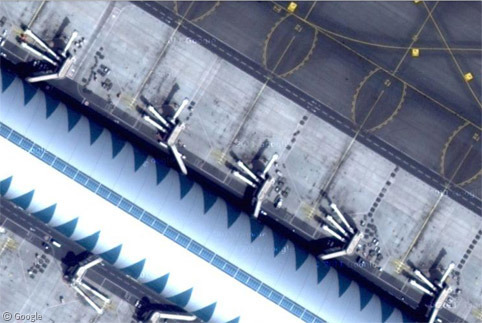 One example is Terminal 3 at Dubai International Airport – the world’s largest airport terminal. At more than a million square metres, this was – for a time – the largest building in the world by floor space2, though I suspect that even in this vast terminal it is probably impossible – like airports everywhere – to get a reasonably-priced meal or a decent cup of coffee! Built at a cost of $4.5billion, the terminal also houses the world’s largest baggage-handling system. It opened in 2009 and expanded the airport’s annual capacity to over 60 million passengers. Used exclusively by Emirates, five gates in the terminal have been built with three ramps to accommodate the new double-deck Airbus A380. The passenger areas include lots of trees and water features, well over 100 check-in desks, luxury lounges, two hotels and a spa. The images in this blog post give you a good idea of what it is like. Travelling south we come to the Meydan Racecourse where racing fans are protected from the desert sun by the world’s largest cantilevered roof. This iconic 426m-long structure was built in a graceful crescent shape inspired by traditional Islamic symbols. Turf and dirt tracks allow racing in different weather conditions. You can take in the races from luxury suites, terraced seating for up to 60,000 people, or from the world’s first trackside five-star hotel, where you can even watch from the rooftop swimming pool3. And in case you have trouble making out the winner, you can catch the replay on the world’s longest LED screen – 110m long! The one thing you technically can’t do here is gamble. While betting is not permitted in the UAE, it is possible to bet on races through foreign gambling agencies. 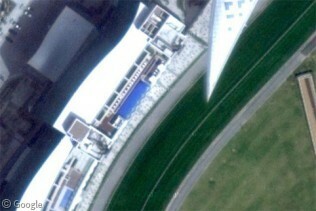 The facilities surrounding the racecourse were designed to resemble a falcon, renowned for its speed. 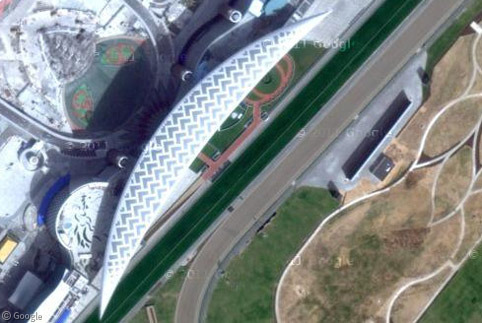 While not complete in Google’s images, the ‘wings’ covering the parking lots can clearly be made out. The small lake at the north-east end of the building is intended to become a marina. This will be connected by a canal to the nearby bay, allowing the richest of the rich to travel to the races by boat rather than dealing with traffic jams. You can read more about the racecourse at its official website, and at this blog post about the architect. However, despite past excesses, there are signs that the financial crisis is having an impact in Dubai. 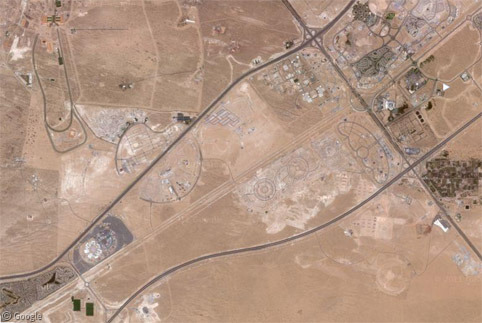 Even with a projected future capacity of 90 million passengers, the International Airport shown above would not be enough to serve the city, so development was started on the Al Maktoum airport 40km to the south of the city. 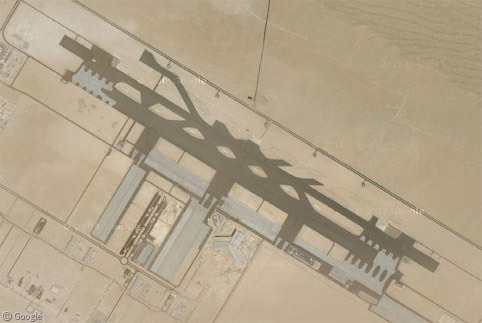 Although the satellite images show a single runway under construction, the goal is that Al Maktoum will become the world’s largest and busiest airport for both passengers (160 million / year) and cargo. This would involve five runways, three passenger and 16 cargo terminals, as well as hotels, shopping malls and parking for 100,000 cars. Not to mention a bill in excess of $10billion! Cargo flights started using the airport in 2010 and passenger flights are expected to commence within the next year. 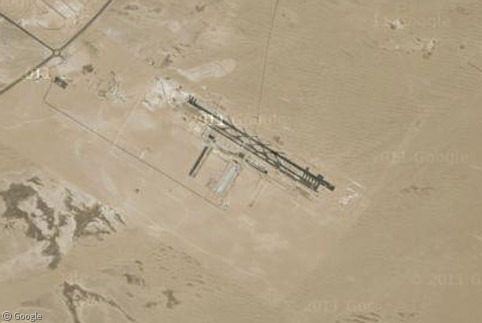 However, the planned rapid expansion of the airport has been delayed by the financial downturn, with the goal now to reach full size during the 2020s. The airport is part of a larger project called Dubai World Central which would see the surrounding desert transformed into a number of zones specialising in aerospace, logistics and other commercial enterprises, as well as residential areas. However, this whole project currently appears to be on hold. Back in the city, an ambitious project called Dubailand is also on hold in a partially-developed state, with confusion about what will happen in the future. Dubailand was planned to be the largest collection of entertainment and leisure parks in the world, with areas dedicated to retail, sports, amusement parks, eco-tourism and much more. However, most development was halted in 2008, including plans for parks themed by Lego, Marvel, Warner Bros and Dreamworks. Even in places where work did begin, it was quickly abandoned – such as the Universal Studios park and the Falconcity World of Wonders, which was due to have full-size replicas of places like the Taj Mahal and the Pyramids of Giza. 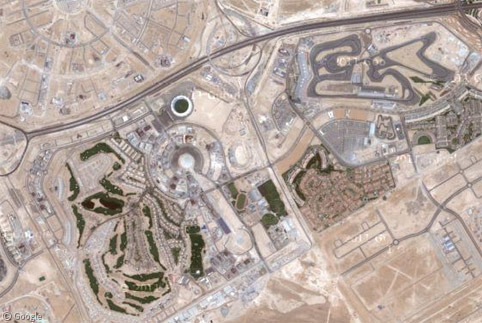 A few sectors of Dubailand were completed before the money ran out and now sit randomly scattered around the suburban housing and empty desert. 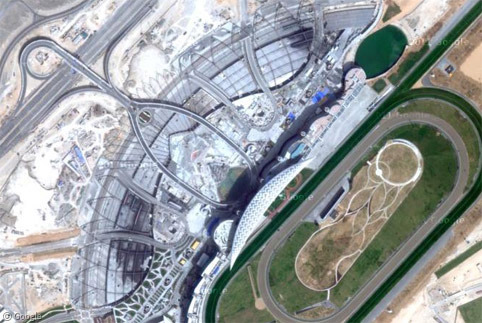 Sports City includes a golf course, cricket stadium and Autodrome, but not the planned ‘snow dome’ or other facilities. 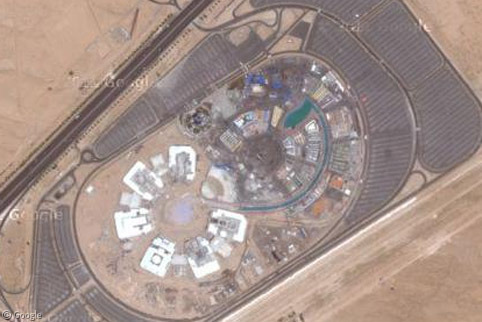 The Global Village is the only really complete and successful park. It features pavilions themed for more than 20 different countries, with rides, shows and other family activities. You can read more about Dubailand at Wikipedia, the Global Village site and at the official Dubailand site. The latter is frozen in time, with the What’s New section promoting the start of construction on a Cricket Academy… in January 2007! Actually, Dubai is not oil rich. You can see the Monaco GP from several swimming pools, including those on the mega-yachts in the harbour. Usually photos every year showing people in pools drinking and watching the cars. Zvi Kedem is correct. Only a small portion of Dubai’s GDP comes from oil and gas. Real estate, trading, and financial services are the largest contributors to Dubai’s economy. But isn’t the majority of the money spent on real estate etc the result of investment in the oil industry? That was always the impression I had, though I’m happy to be educated otherwise… that’s one of the things I love about this site – always learning new things!